Memorial Day is approaching, and Foothills has plenty of options to feed you, your friends and family. In addition to our fun Butcher Block Party happening Sunday, May 27th, we are offering grill package specials so you're set for your home celebration! Check out our Grill Packages below. Simply order online, select your pickup location (Black Mountain or West Asheville), and pick up between May 24-28th during butcher bar hours of operation. You can add on other items such as kielbasa or other meats at retail cost. Just email us after you place your order! 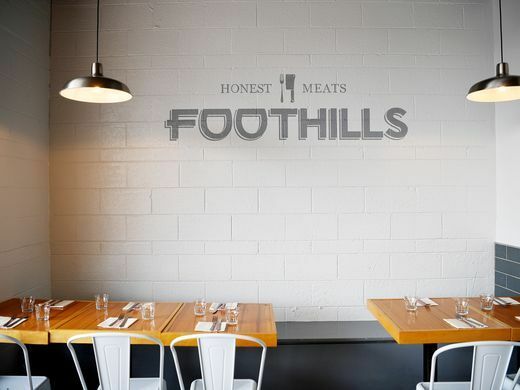 For questions, email Meg at meg@foothillslocalmeats.com and she'll take care of you! Click below to read more about each package and add one or both to your cart. Then proceed to check out! Our orders for Memorial Day Weekend are now closed. Thanks! Our retail manager, Meg, is here with a seasonal farmer spotlight: Border Springs Farm. Find out more below. This Easter holiday, Foothills Local Meats is excited to offer our customers lamb from Border Springs Farm! Border Springs is nestled in the base of the Blue Ridge Mountains in Patrick County, Virginia. Only 10 miles north of North Carolina, this award-winning farm raises Katahdin sheep, Texel sheep, and working border collies. Katahdin sheep are a very special breed named after Mount Katahdin, the mountain that marks the end of the Appalachian Trail in Maine. Katahdin sheep have hard, black hooves that are very resistant to hoof rot, which is a huge issue in sheep production in moist, wet climates like the Southeast. They are also hair sheep, so they don’t need to be shorn in the summer, as they naturally shed with the weather, keeping their internal temperature as consistent as possible. From an agricultural standpoint, this is the best breed for this climate. Border Springs doesn’t treat their sheep with any antibiotics or hormones, and all of their sheep live long and happy lives on pasture. Their farm also has a flock of sheep to shear for local spinners. With their commitment to conscious farming and raising happy animals, Border Springs grass-fed lamb is a product we are proud to sell. For more information, visit Border Springs Farm online. We're excited to offer delicious specials for Easter weekend, including our famous hams, lamb and deviled eggs! Select: See our Spring Easter Weekend specials listed below. Decide what you'd like. 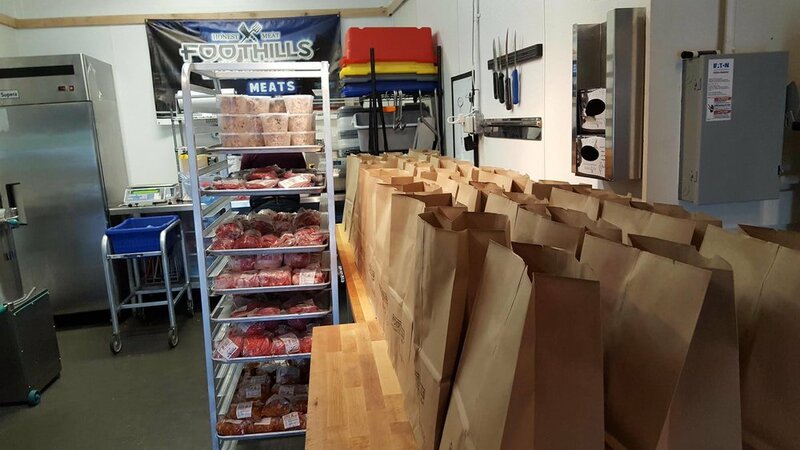 Email: email Meg at meg@foothillslocalmeats.com with your name, phone number, order request and preferred pick-up location and she'll help you finalize your reservation. Please email Meg between March 23-March 29th! Order: Place your reservation with Meg by March 29th! Pick up & Pay: Pick up your order at Butcher Bar: West or Butcher Bar: Black Mountain between Friday, March 30-Sunday, April 1. Pick up hours are 12-9pm each day. Chef Paul's deviled eggs are delicious and not to be missed! If you're entertaining over the holiday weekend, we have you covered. These classics are vegetarian friendly, unless you want them topped with our local beef bacon. Our famous hams are a hit with the whole family. These hams are seasoned and fully cooked and prepared for you ahead of time...just heat, slice and eat, or enjoyed sliced for sandwiches and cold lunch spreads. Whole hams are available ranging from 2-6lbs at $11.99 / lb. Please email Meg for pricing and to finish your order. We love Border Springs Farm and we're proud to feature their lamb this season! The classic southern party staple. Foothills ham on Hawaiian rolls, melty swiss cheese & Duke’s mayo and topped with delicious buttery poppyseed goodness. Just heat and eat. 12 rolls per order. Please note: All Easter Weekend specials are by reservation only! It's that time of year again: let the beer and french onion dip overflow, let the kids run around like crazy, and let the adults wear face paint. Yes, it's Super Bowl Sunday. We want to take some of the food prep off your hands, so we're offering deals on crowd-pleasing classics from our butcher team: hot dogs, hamburgers and deli trays! Order online and pick up at Butcher Bar West Asheville or Black Mountain between Saturday, Feb 3-Sunday, Feb 4th. You MUST specify your pick-up location during checkout by typing in "Black Mountain" Or "West Asheville" in the order notes. Online orders must be placed by Friday, February 2nd. Or stop in either butcher bar to browse our selections! Smoked Chicken and Cornmeal Dumplings: We asked ourselves, "How can we make everyone's favorite comfort food better?" This was the answer. Perfect for the chilly temps we've been experiencing. Just heat & eat! Breakfast Sausage: Our breakfast sausage is made in-house and it's the perfect companion to eggs, biscuits or toast, and a side of grits. It also freezes well! Smoked Bratwurst: Our smoked bratwurst, cured to perfection. These tasty brats can be pan-fried, roasted, grilled or boiled. Because they're so flavorful, you don't have to add too much to them. We recommend the classic method of boiling in beer and onions then searing in a pan on all sides until done. Add your favorite winter side dishes and you're ready to go! Roast Beef: It's time to make a grown-up sandwich. Our roast beef is the perfect match. Try it layered with Swiss and tomato. Beef Bacon: This hearty alternative to pork bacon is cured in-house, sliced and ready for the pan. Ham Hock Rillettes: Our farm-to-table version of a deliciously rich spreadable meat. This is perfect for a simple lunch or to create a casual appetizer when entertaining guests. Pull out of the fridge half an hour prior to serving to allow it to soften a bit, and serve on toasted crusty bread or a hearty cracker and garnish with any kind of pickled vegetable if you want a complementary flavor. Enjoy! Need to change your preferred location on your ongoing CSA subscription? Let us know! It's an easy switch. As we enter the new year, we can't help but notice emerging food trends for 2018, and it's no surprise that a movement back to locally-produced foods and food suppliers, including neighborhood butchers, is at the top of the list.